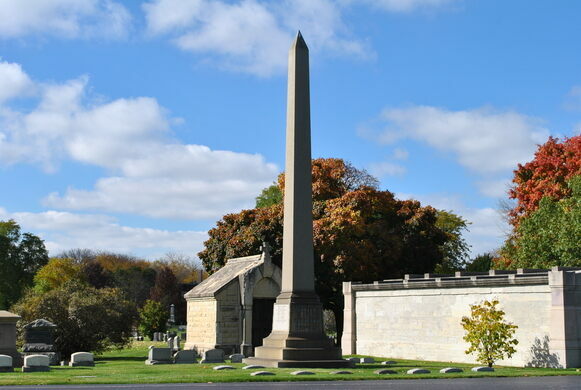 Visit Egyptian Revival buildings and monuments in the midst of this famous Chicago cemetery. There's no need to update your passport to visit these ancient Egyptian-inspired architectural wonders. 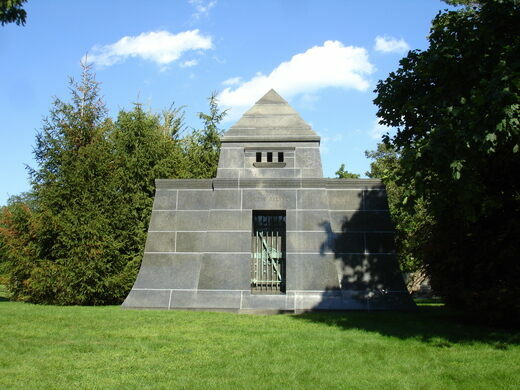 Join us for this tour of Graceland Cemetery with Egyptologist Dr. Foy Scalf to learn about the meaning, impact, and legacy of the ancient Egyptian-influenced designs at Graceland Cemetery. 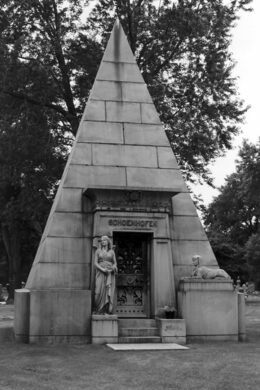 Bask under the cemetery's obelisks, marvel at the eldritch mausolea, and explore pyramids, temple facades, and other Egyptian-style grave markers. Further discussion will highlight members of prominent Chicago families who were Egyptophiles and their connections to the cultural heritage of Egypt and to local Chicago institutions. Meet Field Agent Amy Weber at the entrance to Graceland Cemetery, at the corner of Irving Park and Clark. She'll be the one with the look of someone looking for someone. A short talk will be given at the start, but the majority of the event will be a walking tour around the cemetery. No age restriction, but parents will have to keep an eye on their children. Walking shoes are a good idea! The event is ADA accessible and the majority of walking will be on the road, but there might be a few instances in which the tours moves to the grass and walking through small woods. For those interested in taking pictures—yes, photography is allowed! Street parking is available on Clark and Irving Park Rd. Parking is not permitted inside the cemetery, or you can take the #22 Clark Bus to the cemetery entrance. Email Amy Weber at amy.weber@atlasobscura.com. Advance ticket sales only. All ticket sales are final. No refunds or exchange.